Yoga & Walking: Ease Pain, Reduce Stress – Glass Half Full with Leslie Krongold, Ed.D. One yoga teacher’s health journey. Katrina LaShea was able to ease her back injury and subsequent ankle injury pain through a yoga practice. What once worked as a treatment, later became her passion. 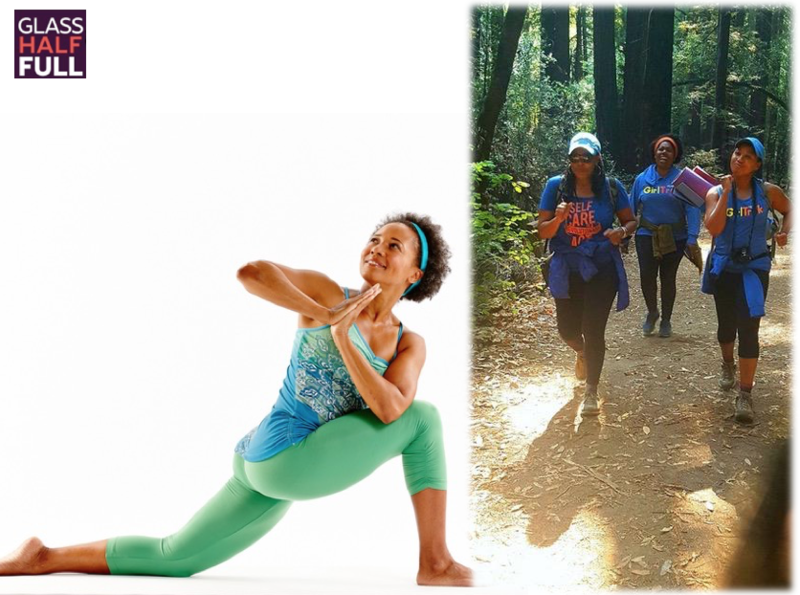 Today Katrina teaches yoga to African-American women and girls at GirlTrek retreats as well as at her Oakland yoga studio. Beginning this February, the GirlTrek founders will be visiting 50 cities across the country bringing the message of radical self-care and healing at teach-ins and wellness festivals. The Road to Selma culminates this summer in Selma, Alabama.